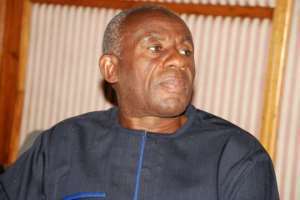 The National Democratic Congress (NDC) is strongly behind the Government for the proposed creation of the six additional regions in the country, Alhaji Collins Dauda, a Member of Parliament for Asutifi South, has said. He, therefore, appealed to Ghanaians, particularly the NDC faithful, to support the constitutional processes for the creation of the regions to its logical conclusion. Interacting with journalists on the sidelines of a public hearing at Hwidiem, the MP expressed optimism that public education on the referendum would be intensified to achieve higher voter turnout. The Justice Stephen Allan Brobbey Commission of Inquiry into the proposed creation of the regions is organising the public hearing in Sunyani. Alhaji Dauda said the Election 2016 Manifesto of the NDC also specified the intention to create the regions adding that the exercise was a national one, which needed to be supported for development purposes. Mr Joseph Daha, the MP for Asutifi North, said all the MPs in the area strongly supported the creation of the Ahafo Region and called on the people to also support the process to make it a reality. Justice Brobbey expressed appreciation for the impressive turnout and advised the people to intensify education on the referendum. Mr Evans Opoku Bobie, the Deputy Brong-Ahafo Regional Minister, advised the people to allow the national interest to override their partisan interests for the good of the nation.